The Jesuit Relations, written by new world jesuit missionaries from 1632 to 1673 back to their Superior in France, have long been a remarkable source of both historical knowledge and spiritual inspiration. They provide rich information about Jesuit piety and missionary initiatives, Ignatian spirituality, the Old World patrons who financed the venture, women's role as collaborators in the Jesuit project, and the early history of contact between Europeans and Native Americans in what was to become the northeastern United States and Canada. The Jesuits approached the task of converting the native peoples, and the formidable obstacles it implied, in a flexible manner. One of their central values was "inculturation," the idea of "coming in by their door," to quote a favorite saying of Ignatius, via a creative process of syncretism that blended aspects of native belief with aspects of Christian faith, in order to facilitate understanding and acceptance. The Relations thus abound with examples of the Jesuits' thoughtfully trying to make sense of native-and female-difference, rather than eliding it. The complete text of the Jesuit Relations runs to 73 volumes. 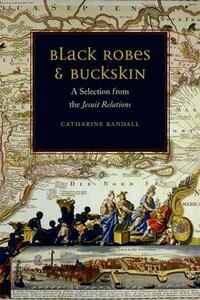 Catharine Randall has made selections from the Relations, some of which have never before appeared in print in English. These selections are chosen for their informative nature and for how they illustrate central tenets of Ignatian spirituality. Rather than provide close translations from seventeenth-century French that might sound stilted to modern ears, she offers free translations that provide the substance of the Relations in an idiom immediately accessible to twenty-first-century readers of English. An extensive introduction sets out the basic history of the Jesuit missions in New France and provides insight into the Ignatian tradition and how it informs the composition of the Relations. The volume is illustrated with early woodcuts, depicting scenes from Ignatius's life, moments in the history of the Jesuit missions, Jesuit efforts to master the native languages, and general devotional scenes.